In Stockholm, on April 5th 2002, Bob Dylan performed the first version of "SOLID ROCK" since November 21st 1981. This brilliant gem was repeated already during the next two shows in Oslo and Copenhagen, and more and more European audiences got to hear this bold confession during this spring tour. In Germany Bob Dylan performed "SOLID ROCK" in five consecutive shows in Berlin, in Leipzig, in Hannover, in Frankfurt, and in Stuttgart. In Milano Bob performed "SOLID ROCK" for the first time in Italy ever; and in Zurich and Innsbruck this great song appeared as well, before "SOLID ROCK" had his first Dutch appearance ever in Rotterdam. Finally my wife and I got to see Bob Dylan sing "SOLID ROCK" three times in Britain, the first of which being the first ever Welsh appearance of this song in Cardiff. The second one was already during the next show, in Newcastle upon Tyne; and three days after that Bob Dylan included "SOLID ROCK" into his first London show, which he had started with "I AM THE MAN THOMAS", a combination he had done before in Berlin and Frankfurt. 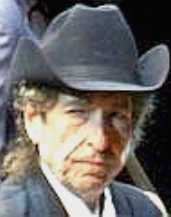 Singing two songs in one show about Jesus Christ showed that Bob Dylan is indeed hanging on to this Solid Rock, he sang about to fifteen audiences in Europe during that fine tour in 2002. He won't let go no more the nail scarred hand of his wonderful Savior and risen Lord that will lead him beyond the burning sand. 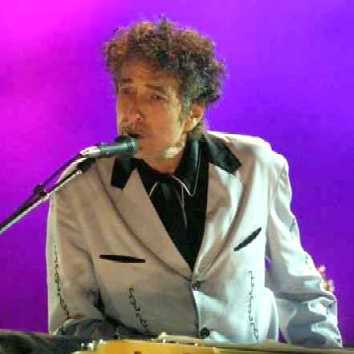 In August of 2002 Bob Dylan performed "SOLID ROCK" in Omaha, and five days later in Saskatoon, where Bob sang in two consecutive songs: "... this world can't stand long ... but I'm hanging on to a Solid Rock made before the foundation of the world ...". In October 2002 "SOLID ROCK" kicked off the fall tour in Seattle, with Bob Dylan playing this song as the opener, on the piano. Sixteen days later "SOLID ROCK" opened another show in Las Vegas, also with Bob on piano. You were ransomed from the futile ways inherited from your forefathers, not with perishable things such as silver or gold, but with the precious blood of Christ, like that of a lamb without blemish or spot. He was foreknown before the foundation of the world but was made manifest in the last times for your sake, who through him are believers in God, who raised him from the dead and gave him glory, so that your faith and hope are in God.